A slew of new initiatives from HTC is designed to rapidly grow the virtual reality market. Entrepreneur is on the ground at this year's Consumer Electronics Show. Check back for highlights from the event as well as insights from thought leaders and innovators. Today at CES, HTC announced a web of initiatives designed to rapidly grow its virtual reality market. The plan will empower smaller companies, content creators and just about anyone en route to HTC's ultimate goal -- building the largest ever virtual reality platform. While VR’s revolution has seemed stalled for years, 2016 saw some important launches including Facebook's Oculus and Sony's Playstation VR. HTC’s $800 Vive was also released last year and reportedly sold more than 140,000 units between April and October. To be sure, that’s not a massive number, which is likely why HTC would want a ground-up approach to boost both its user base and consumer interest in general. The new strategy is multi-pronged and hinges on content. Some 1,000 pieces of VR content released on HTC's platform last year, an average of 30 a week, and the company predicts 3,000 titles will release at the end of this year, said Rikard Steiber, president of Viveport, the platform's content store. The company specifically mentioned it will focus on the education, with apps designed to help teachers visualize their lessons to students, and enterprise markets (HTC did not specify specifics for the latter). To help consumers discover content, which helps developers reach new audiences, Vive will introduce a virtual reality subscription service -- "it's Netflix for VR," Steiber said. But the company also needs to expose more people to its hardware. One way to do that is to place headsets in the real world, in what it's dubbing VR arcades. Any business from a movie theater, a theme park to just anyone with space can start an arcade business. And to help these business owners, HTC will introduce an app store specifically for them. Finally, on the software front, the company said that a mobile VR app store opened today in China. Mobile is the most popular way to first experience VR, Steiber said. Oculus already has a mobile platform with its Gear VR headset for Samsung devices. 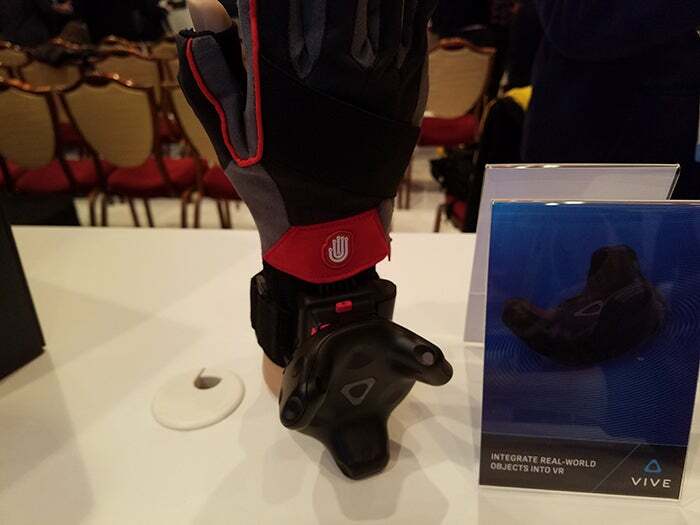 Lastly, HTC announced a piece of hardware called the Vive Tracker, which makes it easier for accessory companies to introduce their products in the virtual space. The device is 10 centimeters in length with a six-hour battery. At the press conference, the tracker was attached to fake guns, a real baseball bat (which it says can be used to train professional baseball players) and a pair of gloves that detect finger movement. Basically, with a sensor attached to the item, it can be easily tracked in the virtual realm. No price has been released but the launch window is set for the second quarter. 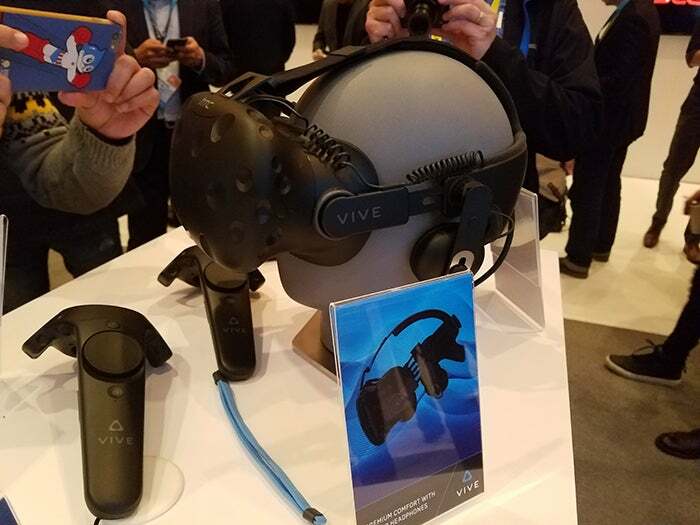 Finally, responding to complaints from users, the company also announced the Vive Deluxe Audio Strap, which aims to be more comfortable by including headphones in the strap and a dial to adjust its size. It will also release in the second quarter. No price was announced. HTC’s plan shows it knows it can't survive just on early adopters and gamers. To truly grow, it needs to show the widest swath of consumers the technology’s potential, and this multi-faceted approach looks like a smart way to do just that.